Choosing a credit card processor can be a confusing experience for many business owners. Not knowing what exactly your credit card processor does for you can make it more difficult to make informed decisions. Accepting credit card payments for what you sell is a smart business decision. Working with a credit card processor that has knowledge and understanding of your industry is also a smart business decision. The credit card processor your industry association recommends is a great place to start the vetting process and could help you avoid a few critical mistakes that many small- to medium-size businesses make when selecting a processor. This is by far the most critical mistake made. While the technical terms and legal jargon can be confusing, knowing what your processor and acquiring bank are responsible for and what you are responsible for makes the relationship between the partners involved flow smoothly. Understanding who the acquiring bank is and what their role is in the relationship is also very important. Take time to read the contract. Credit card processing charges are made up of fees and costs. Fees are things you are charged for that may or may not be negotiable and go directly to your processor. Costs are the actual cost of processing a card. Those costs are set by the card brands such as Visa, MasterCard and others. They are exactly the same, no matter who your credit card processor is. Some processors are sneaky about hidden fees or rising fees hoping you either won’t read or won’t understand and therefore don’t question them. Chosen Payments uses a business model called “transparent pricing” so you see exactly what the card brand charged you for a particular transaction and what Chosen Payments charged you as part of the same transaction. If you don’t understand a fee, ask your dedicated Account Executive to explain it. By the way, if you don’t have a dedicated Account Executive with your merchant processor, you should ask for one. An Account Executive who understands your individual business is much better than a random person answering your call. You need to be able to trust your credit card processor. Some processors may require you to process a certain amount of monthly transactions to avoid a penalty fee. They might even charge an additional fee for a large transaction above your maximum limit. Imagine how happy you might be to land a $5,000 sale and how that mood can easily turn to anger when you find out you were charged an additional fee for running a transaction larger than $2,500. The work-around for this is to run the transaction as two transactions. But why should you have to do this? Unless you have a crystal ball, there really isn’t a way to ever know what your maximum transaction might be, so at best, merchants guess at what that magic number might be during the application process. Ask what happens if you complete a transaction larger than the maximum you stated on your application. Agreeing to a minimum monthly volume or a maximum transaction amount can seriously cut into your profit. Look for a credit card processor that will work with you instead of penalizing you for a great sale. Obviously you have to have equipment to accept credit cards or an online portal. This is a place where many unscrupulous credit card processors take advantage of unsuspecting merchants by asking them to sign equipment lease agreements or monthly rental agreements. The truth is, credit card terminals typically can be purchased for $250 to $400 depending on the bells and whistles that come with it. A typical lease agreement is $40 per month for four years. Over the term of the lease a merchant would end up paying more than $1900. Once the lease expires you would either need to return the equipment or buy it from the leasing company for the fair market value at the time the lease ends. This likely pushes the actual cost for the terminal to an amount well over $2000. 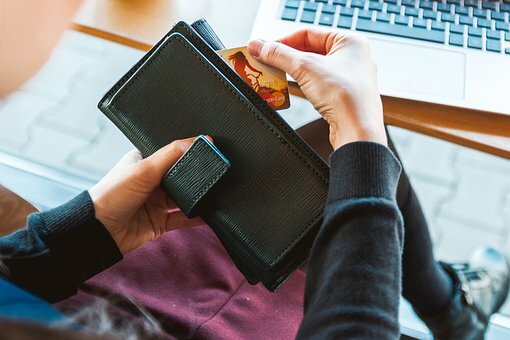 By reviewing these top five mistakes merchants make, you can avoid losing money when accepting credit and debit cards from your customers. Your credit card processor should always be looking for ways to improve your bottom line profitability as opposed to cutting into it with unnecessary and exorbitant fees. Chosen Payments is the most trusted credit card processor in the industry, honoring transparency for our clients. We pride ourselves in delivering White Glove Service to our clients. Is Your Credit Card Processor Honest?